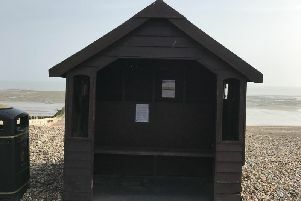 If you are the secretary of a community association planning a seaside outing or a Brownie leader in need a of new tent then fear not, the Hall and Woodhouse Community Chest is here again. The family brewer launched the popular grant giving scheme for 2018, which is backed by this newspaper, at its Black Swan pub in Pease Pottage near Crawley last week. Civic leaders from Crawley, Horsham, Mid Sussex, Chichester, Bognor Regis and Eastbourne attended the launch of the chest, which has supported hundreds of good causes in East and West Sussex over the years. Mark Woodhouse, the chairman of Hall and Woodhouse, told the assembled audience why the chest was so important to both him and the business. He said: “We want to be valued by our local residents and we need to be valued by them. I do not think that in this day and age that any company cannot survive without the support of the community. Charities and groups are invited to submit applications for between £300 and £3,000 for specific projects, although all applications will be considered. Applications can be submitted to organisers until May 4, before a panel of judges begin their detailed deliberations. The panel includes Mr Woodhouse, Gary Shipton, editor and editor in chief of Sussex Newspapers, Blaise Tapp, the comunity and commercial editor for Sussex Newspapers, Adrian Barrott, of the Sussex Community Foundation and John Scudder, landlord of the Plough Inn at Ifield, Crawley. Mr Scudder and his team have raised an impressive £200,000 for many good causes over the past eight years. Last year the chest attracted a record 250 applications from county groups who received a combined total of £25,000 at a ceremoy held at the brewery’s Black Rabbit in Arundel. Beneficaries included Eastbourne Survivors, Horsham Town Community Partnership, St Joseph’s Specialist School & College and Children with Cancer Fund (Polegate). To submit an application see a copy of this week’s paper or go to the Hall and Woodhouse website.